The Infertility Cure: The Ancient Chinese Wellness Program For Getting Pregnant And Having Healthy Babies, by: Randine Lewis, Little, Brown and Company, 2004, ISBN: 0316172294. The Treatment of Infertility with Chinese Medicine, by: Jane Lyttleton, Steven (FRW) Clavey, Elsevier Health Sciences, 2004, ISBN: 044306640X. Acupuncture & IVF, by: Lifang Liang, Blue Poppy Press, Boulder CO, 2003. ISBN: 1891845241. Acupuncture in Pregnancy and Childbirth, by: Zita West, Elsevier Health Sciences, 2001, ISBN: 0443061386. 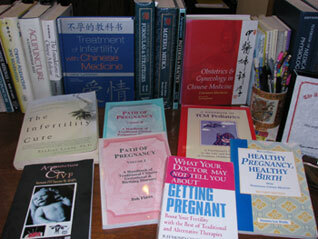 Obstetrics & Gynecology in Chinese Medicine, by: Giovanni Maciocia, Elsevier Health Sciences, 1998, ISBN: 0443054584. Fullfilling the Essence: A Handbook of Traditional & Contemporary Chinese Treatments for Female Infertility, by: Bob Flaws, Blue Poppy Press, Boulder CO, 1993. Handbook of Obstetrics & Gynecology in Chinese Medicine: An Integrated Approach, by: Jin Yu, M.D., Eastland Press, Vista, CA, 1998. Female Reproductive Aging, Studies in Profertility Series, Vol. 9, by: Te Velde, E.R., P.L. Pearson, and F.J. Broekmans, EDS, CRC Press-Parthenon Publishers, London, 2000. Chang M.D., Raymond. "Role of Acupuncture in the Treatment of Female Infertility, Fertility and Sterility." Fertility and Sterility 78 (2002): 1149-1153. Chi-jun, Dan. "The Acupuncture Treatment of Perimenopausal Headache." Hu Nan Zhong Yi Za Zhi (Human Journal of Chinese Medicine) (2001): 30. Chun-yi, Qian. "The Treatment of 20 Cases of Infertility Mainly with Acupuncture." Zhong Guo Zhen Jiu (Chinese Acupuncture & Moxibustion) 2 (1994): 15. Cohen, S.M., M.E. Rousseau and B.L. Carey. "Can Acupuncture Ease the Symptoms of Menopause?" Holistic Nurse Practitioner 17 (2003): 295-259. Dieterle, S., G. Ying, W. Hatzmann and A. Neuer. "Effect of Acupuncture on the Outcome of In-vitro Fertilization and Intracytoplasmic Sperm Injection: a Randomized, Prospective, Controlled Clinical Study." Fertility Sterility 85 (2006): 1347-1351. Ding-ping, Lou and Sa Yu-qin. "The Acupuncture Treatment of 11 Cases of Noneruption of Matured Eggs." He Nan Zhong Yi (Henan Chinese Medicine) 5 (2001): 56-57. Gerhard, I. and F. Postneek. "Auricular Acupuncture in the Treatment of Female Infertility." Gynecology Endocrinology 6 (1992): 171-181. Highfield, E.S., M.R. Laufer, R.N. Schnyer, C.E. Kerr, P. Thomas and P.M. Wayne. "Adolescent Endometriosis-Related Pelvic Pain Treated With Acupuncture: Two Case Reports." Journal of Alternative Complementary Medicine 12 (2006): 317-322. Hua-gang, Bo. "The Treatment of Dysmenorrhea by Acupuncture Guan Yuan Shu (Bl 26)." Zhong Guo Zhen Jiu (Chinese Acupuncture & Moxibustion) 2 (1994): 30. Jian-chun, Xiu and Song Ya-guang. "A Survey of the Treatment of 60 Cases of Chronic Pelvic Cavity Inflammation with Acupuncture Point Warming & Harmonizing Method." Zhen Jiu Lin Chuang Za Zhi (The Journal of Clinical Acupuncture & Moxibustion) 3 (1995): 29-30. Ling, Xue. "The Treatment of 64 Cases of Primary Onset Dysmenorrhea with Acupuncture & Moxibustion." Zhe Jiang Zhong Yi Za Zhi (Zhejiang Journal of Chinese Medicine) 7 (1998): 305. Mo, X., D. Li, Y. Pu, G. Xi, X. Le, Z. Fu. "Clinical Studies on the Mechanism for Acupuncture Stimulation of Ovulation." Journal of Traditional Chinese Medicine 13 (1993): 115-119. Paulus, W. et al. "Influence of Acupuncture on the Pregnancy Rate in Patients Who Undergo Assisted Reproductive Therapy." Fertility and Sterility 77 (April 2002): 721-724. Peng, Y., L.H. Hou and X.K. Wu. "Advances of Modern Studies of Acupuncture and Moxibustion for Treatment of Ovulation Disorders." Zhonggou Zhen Jiu 26 (2006): 756-759. Ri-Han, Hai. "An Analysis of the Theraputic Effects of Treating 16 Cases of Uterine Myoma with Acupuncture." Xin Zhong Yi (New Chinese Medicine) 9 (2003); 44. Stener-Victorin, Elisabet, Waldenstrom, Urbam, Anderson, Sven A., and Wikland, Matts (1996), "Reduction of Blood Flow Impedance In The Uterine Arteries Of Infertile Women With Electro-Acupuncture", Human Reproduction, Vol. 11, no. 6 (1996): 1314-1317. Su-ling, Wu. "The Treatment of 32 Cases of Postpardum Hyperprolactinemia with Acupuncture & Moxibustion and San Yin Jiao (Sp 6)." Nanjing Chinese Medical Hospital Journal 11 (2002): 75. Westergaard, L.G., Q. Mao, M. Krogslund, S. Sandrini, S. Lenz and J. Grinsted. "Acupuncture on the Day of Embryo Transfer Significantly Improves the Reproductive Outcome in Infertile Women: a Prospective, Randomized Trial." 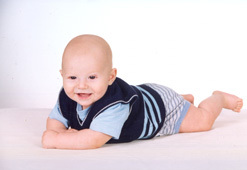 Fertility Sterility 85 (2006): 1341-1346. Zhen-dong, Shi and Shi Ya-ping. "The Acupuncture & Moxibustion Treatment of 30 Cases of Female Infertility." Shang Hai Zhen Jiu Za Zhi (The Shanghai Journal of Acupuncture & Moxibustion) 1 (1994): 17-18. Zhi-yi, Zhu. "The Acupuncture Teratment of 36 Cases of Dysmenorrhea with Cheng Shan (Bl 57) & San Yin Jiao (sp 6)." Si Chuan Zhong Yi (Sichuan Chinese Medicine) 8 (2002): 78. Zhi-Yun, Qian. "Examples of Effective Acupuncture Treatment for Male Interfility." Zhong guo Zhen Jiu (Chinese Acupuncture & Moxibustion) 5 (1996): 11. © 2006-2014 Hands on Heart - Reproductive Acupuncture Center. All rights reserved.